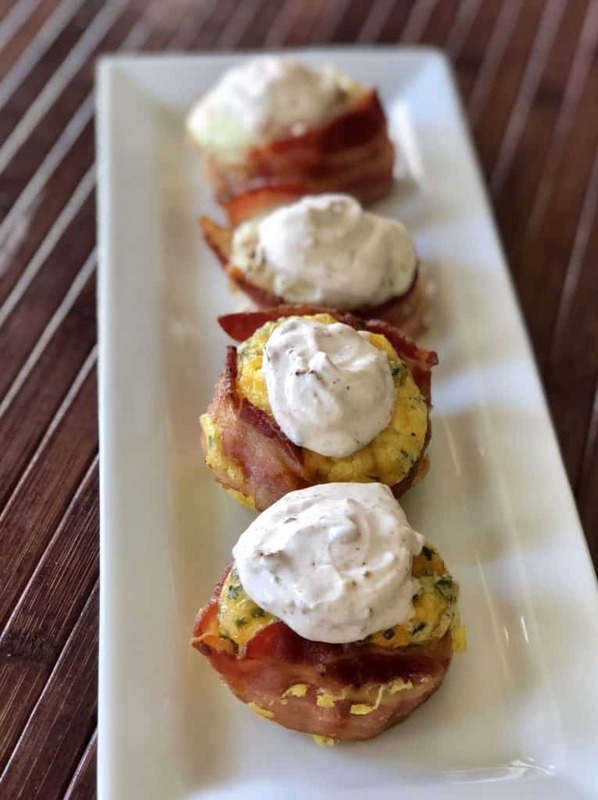 All our favorite breakfast ingredients combined in these delicious Southwestern Keto Bacon and Egg Cups. 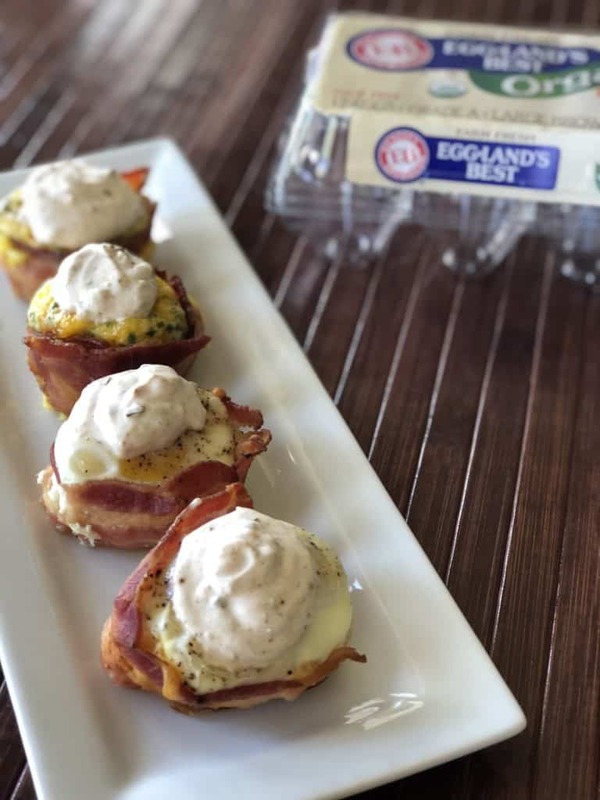 This post has been sponsored by Eggland’s Best. All opinions are my own. 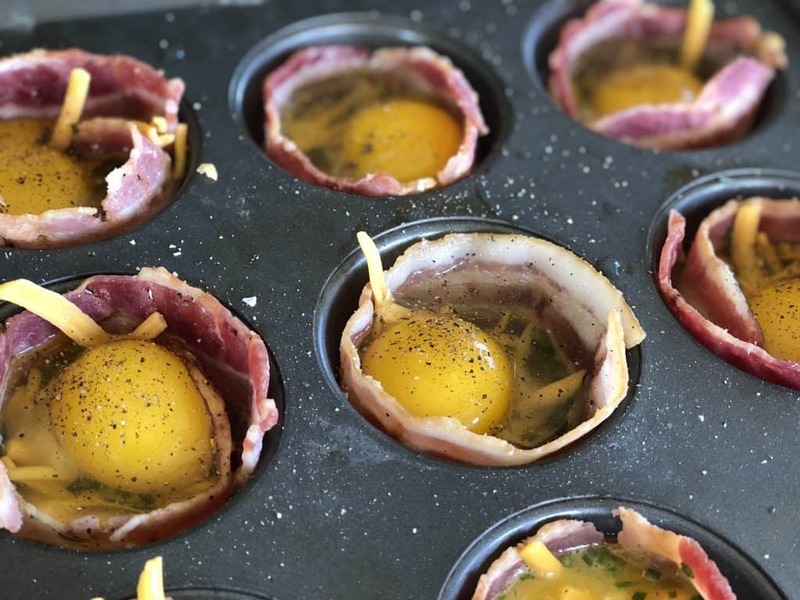 It doesn’t matter if you are a scrambled person or a sunny-side of person– these easy Keto Bacon and Egg Cups are the perfect breakfast. 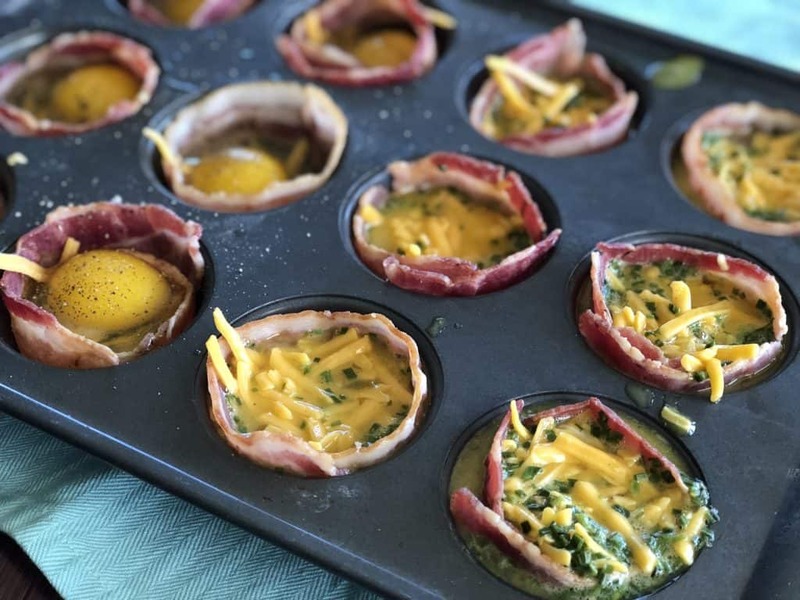 Whether you are on a Keto diet or just love a delicious breakfast, you will love these bacon and egg cups. 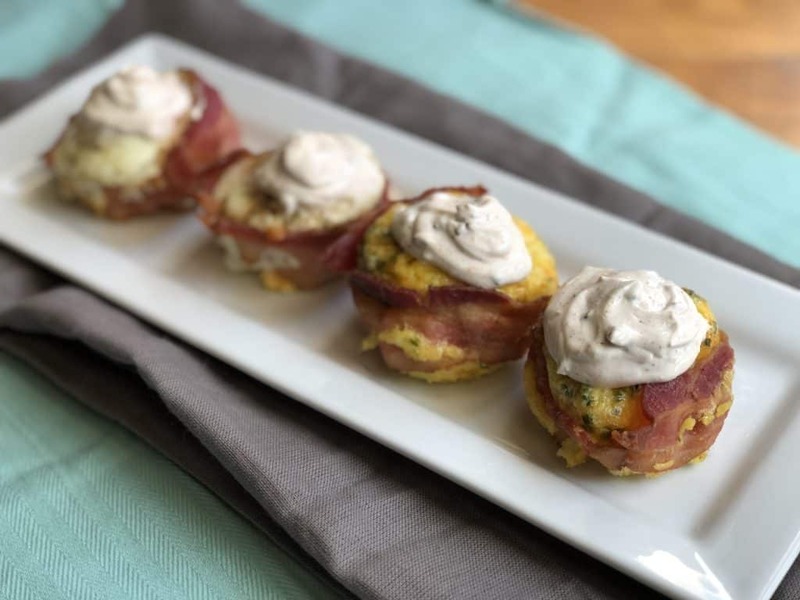 They are packed full with flavor and topped with a delicious Southwestern Sour Cream size that will keep you begging for more. 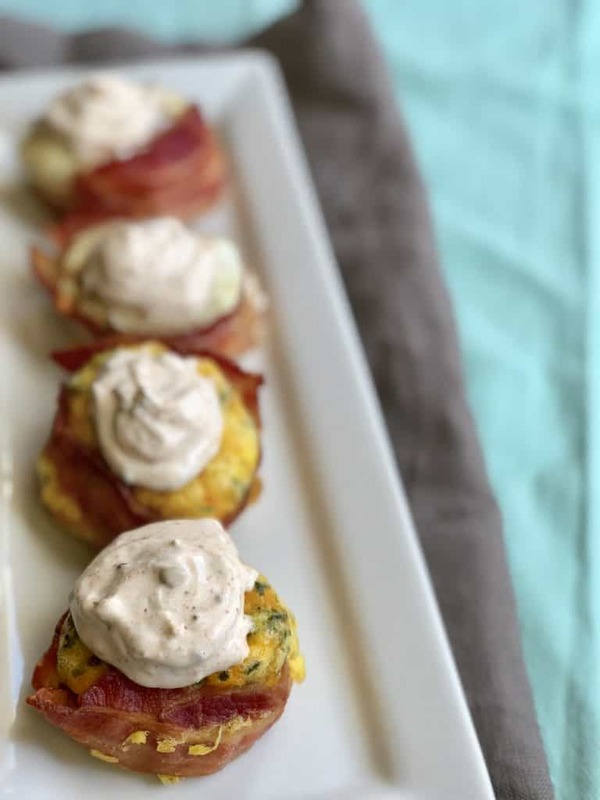 This easy recipe is perfect because it uses many of the ingredients that you always have on hand but they come together in such a delicious way. 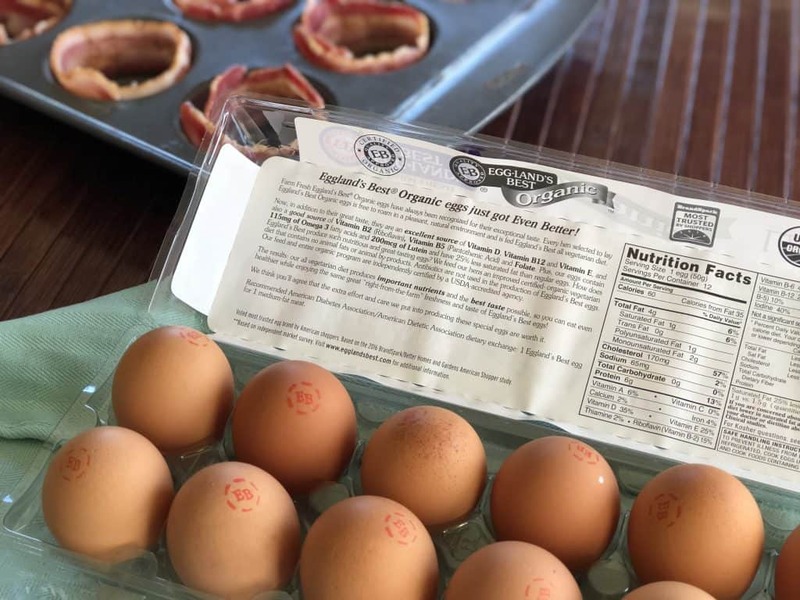 We love using Eggland’s Best eggs because not only do they taste amazing, but they are a great source of vitamins D, B12, E, B5, and riboflavin. 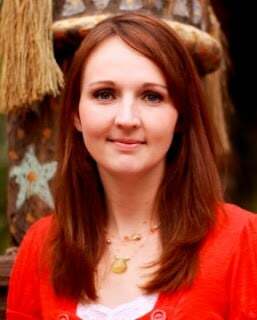 Eating right is important to me, so I love that they have 6 times more vitamin D, more than double the omega- 3, 10 times more vitamin # and 25% less saturated fat than ordinary eggs. 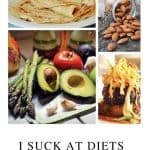 Tastes great AND better for you? Sounds like a win/win to me! Preheat oven 375 degrees. Place rack on middle rack. Spray bottom of muffin tin. 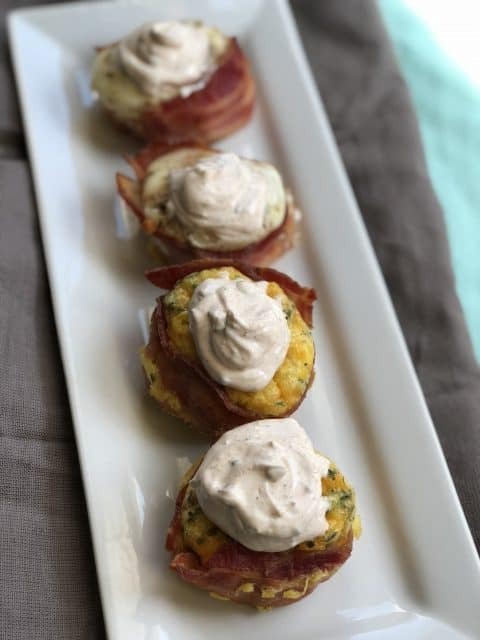 Wrap one piece of pre-cooked bacon around each muffin cup. In medium bowl beat eggs, cheese, chives, onions and salt and pepper. 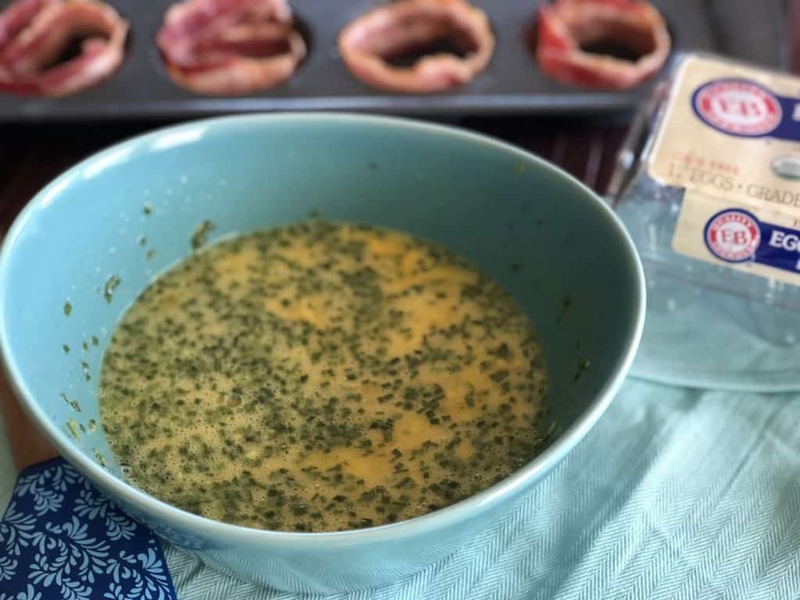 Pour egg mixture into muffin tin to top of muffin cup. 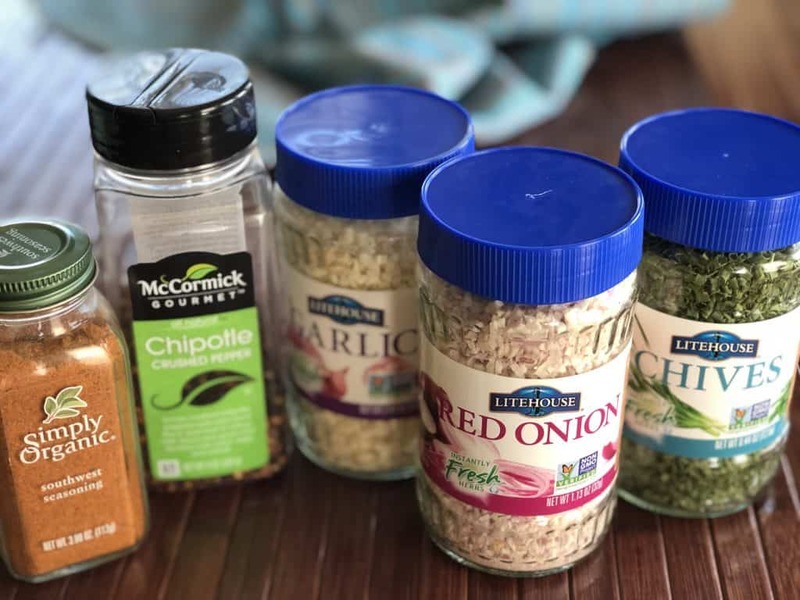 Sprinkle with a dash of dried chive and dried onion. 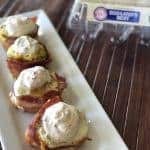 Break one egg over cheese. 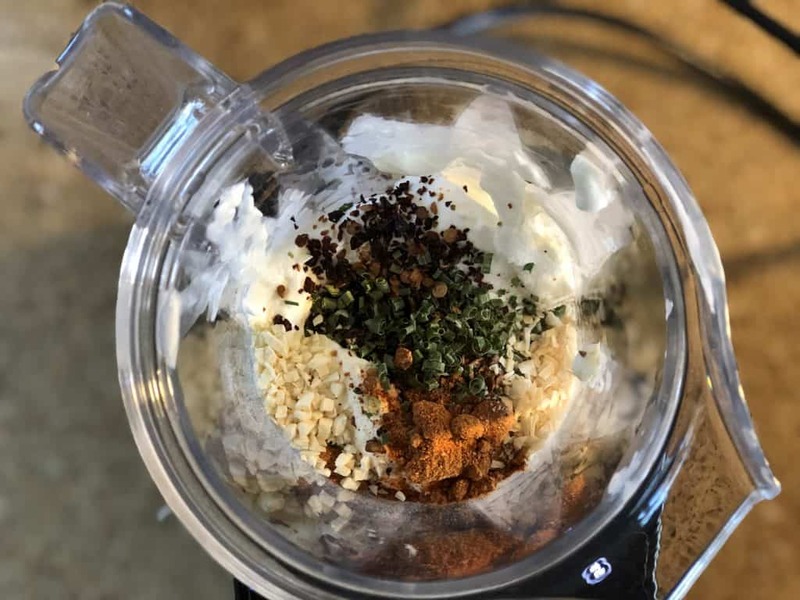 Mix all ingredients in Blendtec Blender. 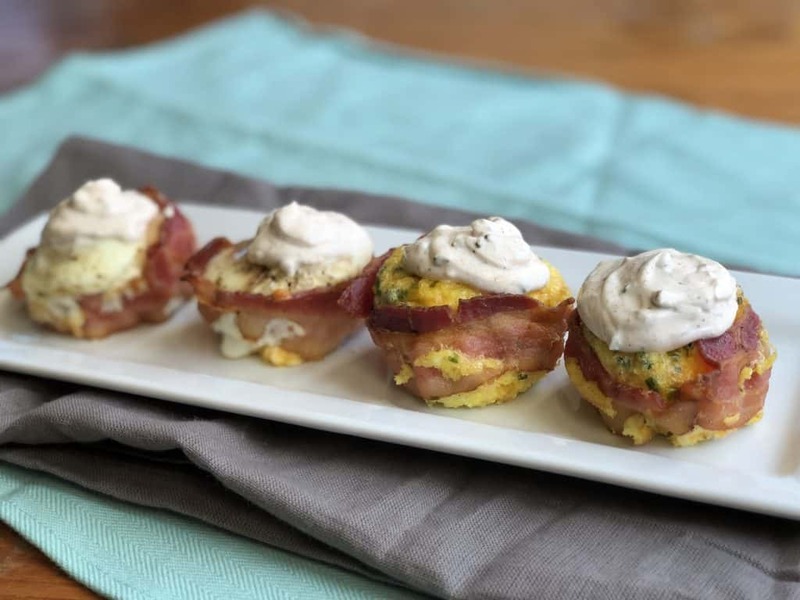 Add a small dollop of Southwestern Sour Cream topping to each egg cup.